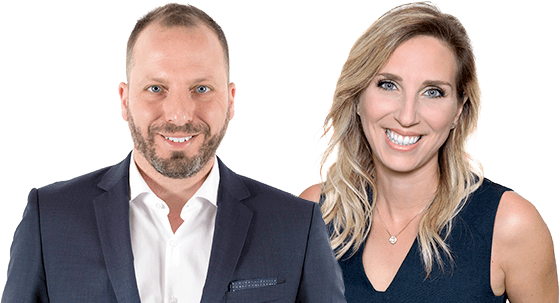 Eric Doyon, real-estate broker at RE/MAX Blainville from father to son for over 35 years, and Jessica Poirier-Knitel, real-estate agent and graduate of the Bachelor of Commerce degree from Concordia University. With our passion for real-estate and our partnership with RE/MAX TMS Blainville, the most dynamic real- estate agency on the north shore, we are well qualified to give you professional advice on the sale of your property. Exceptional results: over 600 properties sold. A winning sales strategy that is adapted to your needs. Superior visibility amongst all potential buyers in local and social media, as well as on remax-quebec.com, the most popular real-estate website in Quebec.